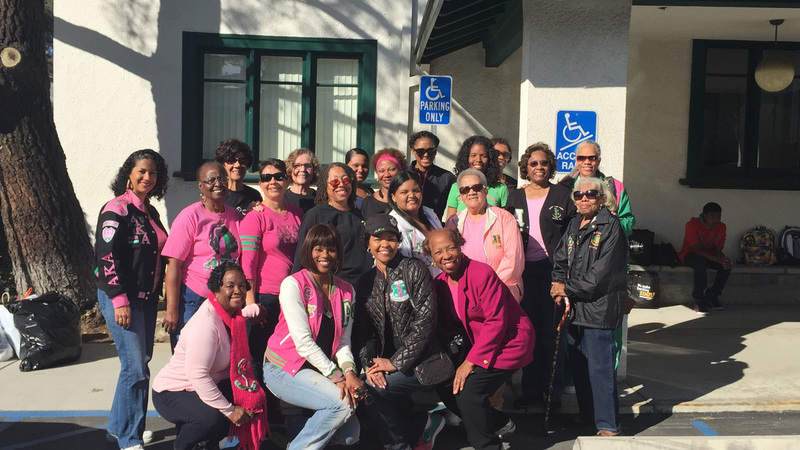 The Pasadena Chapter of Alpha Kappa Alpha Sorority, Inc. spent Martin Luther King (MLK) Day providing services to the Pasadena Community. Dinner is an important meal in the day that gives families a chance to sit down, talk and learn about the day of each member. It is a time for sharing, but due to a variety of reasons, this meal does not take place in all homes or there may not be enough food on the table. 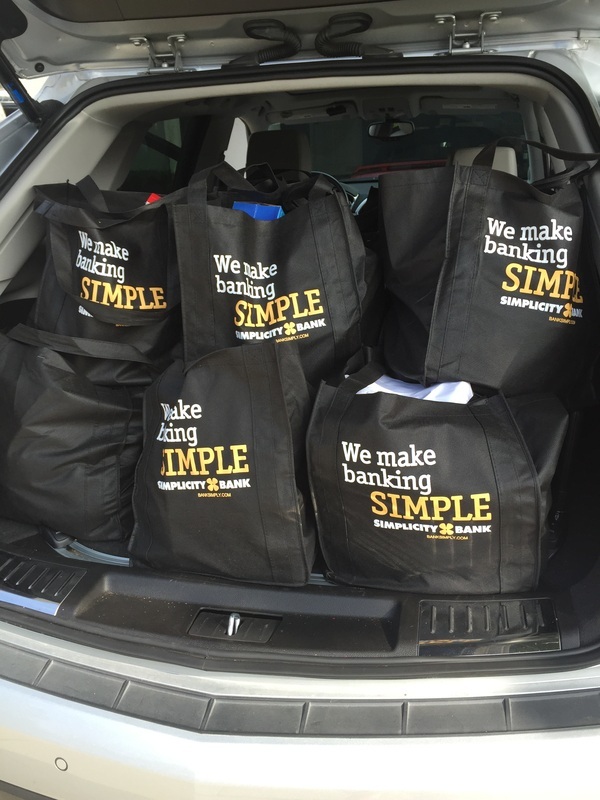 In order to bend this curve, the Pasadena Chapter of AKA worked with the NAACP/Altadena Branch, the Altadena Senior Center, and Angel Tree Network's Prison Fellowship to locate Veterans and children of incarcerated parents to provide bags of groceries and gift cards for supper on MLK Day. The chapter also provided backpacks with school supplies to the children to help make sure they have basic tools for success in school. The AKA’s then moved onto Union Station Homeless Services, a 501(c)3 nonprofit organization in Pasadena that is committed to helping homeless men, women and children rebuild their lives.. 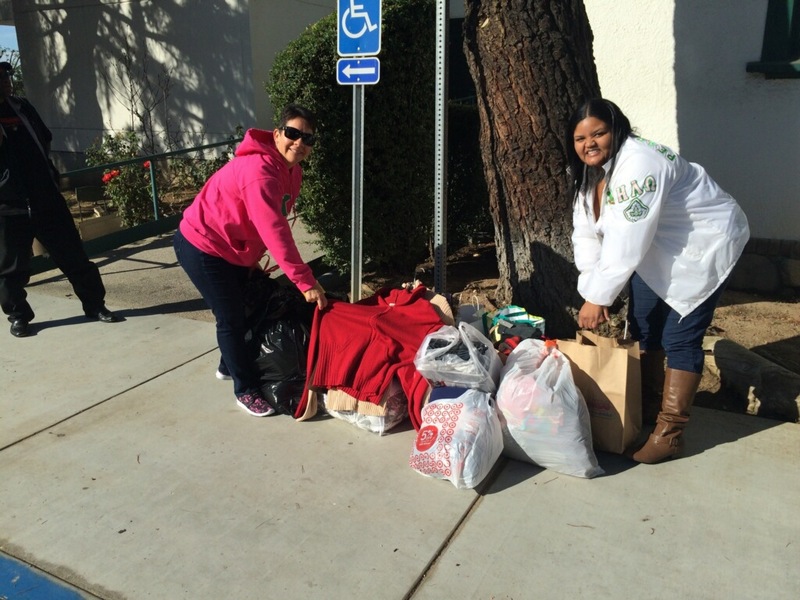 In order to support Union ‘s mission, the Pasadena Chapter of AKA donated 122 items that included 57 coats, 14 blankets and 51 seasonal wraps (hats, gloves and scarves). Being warm is a basic necessity that we all have and this donation seeks to provide to this underserved population in our city. Alpha Kappa Alpha Sorority, Inc. was founded on and continues with a commitment of Service to All Mankind. 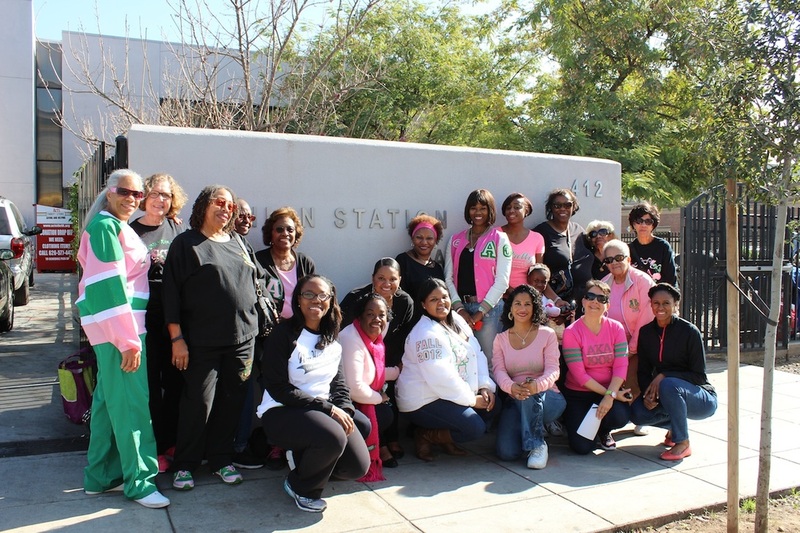 The Pasadena Chapter of AKA uses MLK Day to make a difference and provide needed services to our community.